Ground water is among the Nation’s most precious natural resources. Measurements of water levels in wells provide the most fundamental indicator of the status of this resource and are critical to meaningful evaluations of the quantity and quality of ground water and its interaction with surface water. 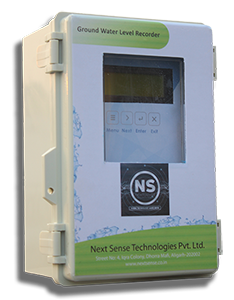 The E&E Solutions made GWLR-01, Ground Water Level Recorder, is a data logger and submersible pressure transducer combination designed for remote monitoring and recording of water level or pore pressure data. The sensor is lowered into the well on a reinforced cable and submerged below the water. In a muffle furnace heat is applied to a chamber through induction or convection by a high-temperature heating coil inside an insulated material. The insulating material effectively acts as a muffle, preventing heat from escaping. Made up of thick mild steel, our Muffle Furnace WI-03 can be used for temperatures as high as 12000C. The internal ceramic chamber of the furnace which is also known as muffle is wrapped up in vast layers of insulation so as to prevent heat loss and achieve high temperatures. BOD Incubators are used to maintain temperature for test tissue culture growth, storage of bacterial cultures and incubation where high degree of constant temperature accuracy is required. Often called low temperature incubators, our BOD incubator WI-01 systems are constructed with corrosion resistance stainless steel and fitted with branded instruments and thus offering reliable results and quality performance all the time. COD Digestion Assembly is used for determination of chemical oxygen demand of waste water in influent and effluent, industrial process water and more. Our COD digestion assembly WI-02 is constructed with mild steel duly coated for corrosion resistance and fitted with solid aluminium blocks heated unit with 40mm diameter holes for 38mm borosilicate glass and thus offering reliable results and quality performance all the time. Double wall construction with insulation for minimum heat losses increases the efficiency of the system. Our laboratory oven WI-04 are constructed with corrosion resistance stainless steel and fitted with branded instruments and thus offering reliable results and quality performance all the time. Our laboratory ovens are used for high forced volume thermal convection applications. These ovens generally provide uniform temperatures throughout. Process applications for laboratory ovens can be for annealing, drying, sterilizing and other industrial/laboratory functions.